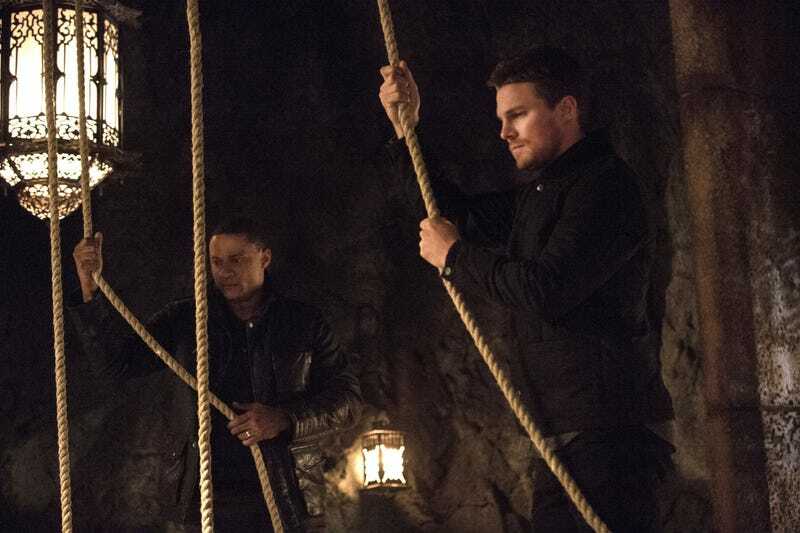 This week on Arrow, the Lazarus Pit finally got to live up to its legend. Turns out it was actually used more than once. Many, many, fans were saddened by the demise of Yao Fern (aka that fern Felicity gives Oliver way back in Episode One and has been in every background shot in the lair this season) last week, when Det. Cap. Lance raided the Arrowcave and one of his incompetent underlings knocked over the pot. After the fandom’s outcry showrunner Marc Guggenheim promised additional footage of the Fern, on condition of helping Savannah Strain, a young archery enthusiast born without a left hand meet her 15 000$ goal, money she and her team needs to go to the National Archery School Program National Competition. Here’s Marc Guggenheim’s post about it, and you can still pitch in on Savannah’s Go Fund Me page here.